There is an initial assessment conducted with the borrower and lender to discuss the project and the SBA loan parameters. The borrower shall complete and provide all documentation needed by NEDCO. The NEDCO staff performs loan underwriting for the project and receives loan approval from the NEDCO Loan Committee. This process takes approximately two weeks. NEDCO submits the loan application packet to the SBA Loan Processing Center in Sacramento, California for final approval. Approval is usually received within one week. The SBA issues a commitment entitled “Authorization for Debenture Guarantee.” This document outlines the terms and conditions which must be met in order to close the SBA loan. NEDCO and the borrower review the Authorization for Debenture Guarantee and sign the document. A copy of the Authorization for Debenture Guarantee is given to the lender. The lender provides the interim financing for the project. The lender must advance funds for both the first and second liens until such time that the SBA loan can be closed and funded. NEDCO will close the SBA loan once all construction and/or renovations have been completed. For projects that involve the purchase of an existing building, the closing will take place as soon as all of the Authorization for Debenture Guarantee requirements have been met. The borrower is responsible for all closing costs incurred by NEDCO. This includes but is not limited to: title insurance premiums, recording fees, legal fees, flood determination fees, and courier services. There is approximately a 45-60 day waiting period from the time the SBA loan closes until the SBA loan funds. The borrower is responsible to pay interim interest to the lender until the funding occurs. On the funding date, the lender receives a wire transfer, to reduce the interim note to the approved permanent note balance. Any excess funds must be paid by the borrower and not added into the 1st lien note. The interest rate for the SBA loan is determined when the SBA loan funds. Beginning on the 1st of the month following the funding date, the borrower will begin to make payments on the SBA loan. The borrower will have a separate payment to the lender and to the SBA. The SBA payment is collected by Colson Services, the SBA servicing agent. NEDCO requires that borrowers submit annual financial statements prepared by an independent accountant within 90 days of the business’s fiscal year end. NEDCO also requires that all insurance remains current and the real estate taxes remain paid on all properties. Our goal is to help small businesses all across Nebraska grow and reach their full potential. We provide a loan that in turn helps a company create more jobs for their community, build new infrastructures and repair existing establishments. 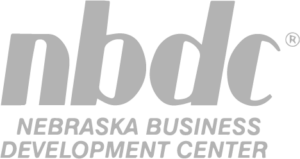 If you are a small business owner, in Nebraska, make sure to find out what Nedco’s SBA 504 Loan can do for you!